It is indicated to apply Inmes Flex points in frame picture. It is recommended for small and medium production volume. It is indicated to apply Inmes Flex points in frame picture. It is recommended for small and medium production volume. 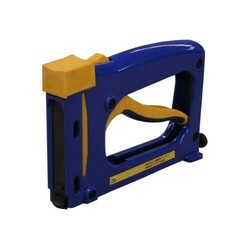 With no need of energy supply, the manual flexi-gun is especially conceived for punctual uses. It uses standard flexi points type 15. It is perfect as a reserve gun, and can be used both on soft and hardwoods. 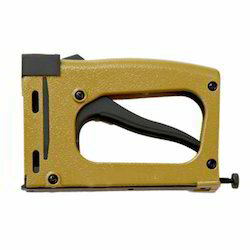 - Can be used on both soft and hard woods and synthetic mouldings. - Light in weight 0.55 kgs. Approx.1 shot at a time allows the correct positioning of the flexi points by the framer.